Dharma Mani is the first calf of Ilavati. He was born in Saranagati Village in June 2016. During Dharma's first training sessions learning how to pull a tire tied to a rope, he would lay on the ground and play dead rather than cooperate with his trainer. We called it the "Dharma flop". We tied some empty tin cans together and whenever he would flop we would shake the cans next to his ears. Frightened by the sound he would jump up and eventually he surrendered to the training process. 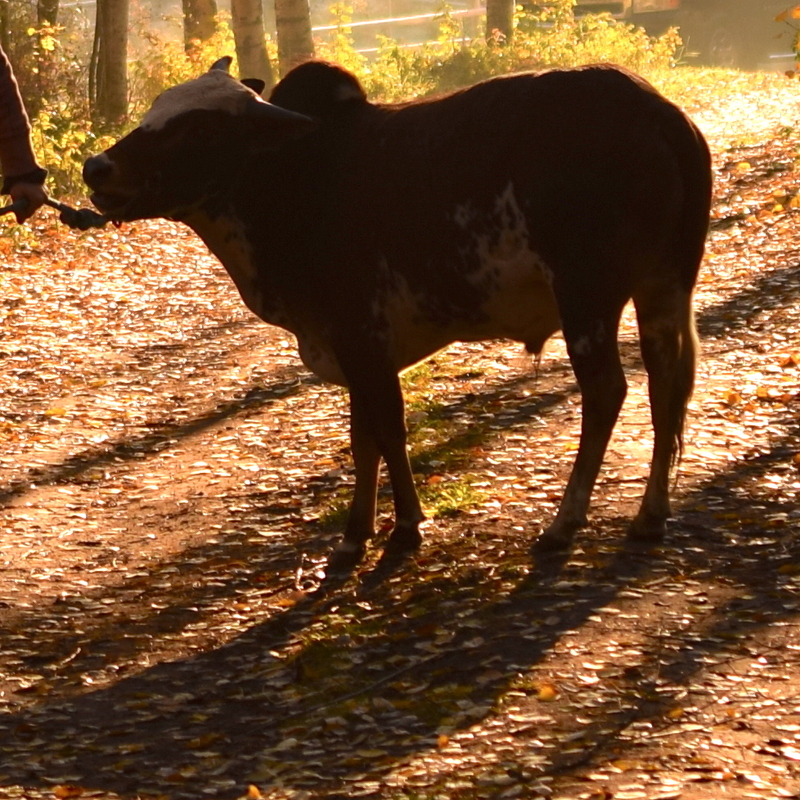 He is extremely friendly and has turned into a very hard working ox. Ahimsa Goshala is dedicated to the missionary goals of His Divine Grace A.C. Bhaktivedanta Srila Prabhupada who desired that self sufficient communities based on farming and cow protection be established throughout the world.